I began cycling as an adult after meeting my husband. I have been on a cycling adventure since; I‘m constantly learning. One of the greatest discoveries has been the CyclingSavvy program. I strongly believe in this curriculum and I’m very excited to be promoting it with ABEA! 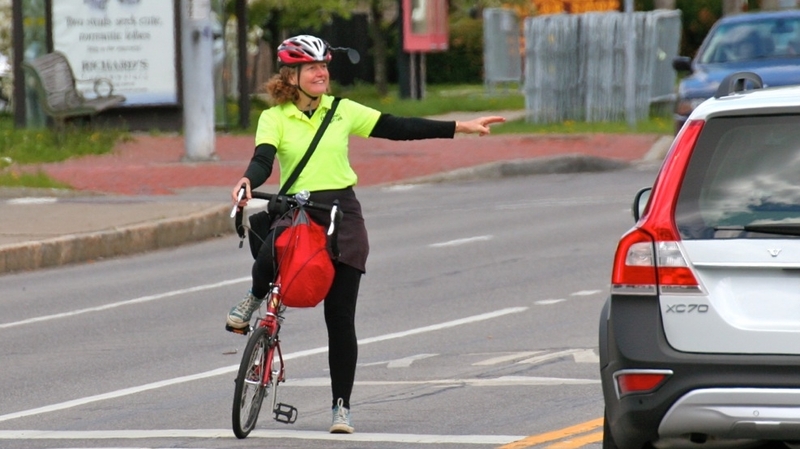 What I love most about being a CyclingSavvy Instructor is seeing the smiles on the faces of novices as they drive their bicycles through complex intersections that the most seasoned cyclists avoid! My first driving experience was on my robin‘s egg blue Raleigh bicycle. I would ride up and down the streets of Webster, NY (Rochester area), pretending that I was driving a car. My mom even has me on 8mm film "parallel parking" my bike at the downtown Woolworths! My Raleigh is long gone but my passion for bicycling remains. 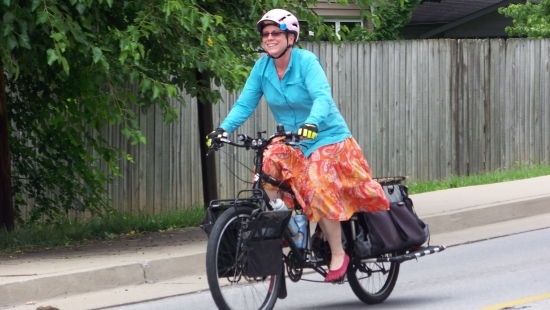 I look forward to sharing the CyclingSavvy strategies…and to the smiles. Let’s ride! 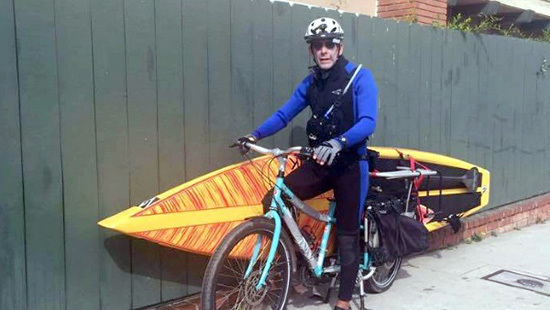 Randy has been an active cyclist since 1998 when he and his family relocated from New Jersey to Southern California. In 1999, Randy started doing 24-hour mountain bike races with his three sons. Since then, he’s become an active participant in endurance cycling events and spends many training hours on the road. A professional instructor, Randy loves to share his passion and knowledge of cycling with others. "If we want to grow our sport, it’s essential that both new and experienced cyclists learn how to be safe, be predictable, be relevant while riding, and enjoy their time on the bike. Riding should not be stressful; it should be stress-relieving! 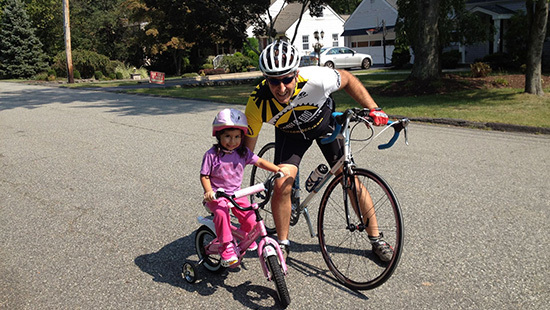 CyclingSavvy helps make the riding experience enjoyable and safe." Randy and his son, Dan, operate Trail’s End Cycling Center in Irvine, CA. I‘ve been cycling my whole life and have done it all; casual riding, commuting, group riding, fitness riding, touring, racing, delivery riding, etc. Cycling Savvy completely changed my riding and my relationship to the road and the others using it. I believe that it represents the very best and most effective safe cycling strategy there is. I believe that the key to Cycling Savvy’s effectiveness is that it depends less on infrastructure to make cyclists safe and more on the bike driver themselves. Removing external barriers to ensuring safe travel by bike and empowering cyclists to safely navigate any road with confidence is what makes Cycling Savvy special. I am honored to join the Board of Directors for the ABEA and work to give others the gift of savvy cycling that I have received. I fell in love with cycling when I first learned to balance on two wheels well over 50 years ago in New York City. Since then I have explored all aspects of cycling including commuting, touring on five continents, and racing on road and dirt. Despite my many miles and years in the saddle, CyclingSavvy was a revelation to me when I took the course in 2011 and it made cycling even more fun for me. I brought the first CyclingSavvy classes to Illinois, California and Arizona and look forwarding to helping expand the best traffic cycling program in the U.S. to more states and cities. I first learned to ride a bike in the common sense at age 7. Due to a visual disability, I cannot acquire a driver’s license. I once thought of this limitation as a severe one. I made some trips by foot, bike, and bus, and relied on friends and family members with cars to give me rides for some other trips. For the most part, however, the difficulty I had in traveling prevented me from living what most people would consider a full life. I learned to DRIVE a bike at age 27, and it radically transformed my life. Suddenly I could go wherever I wanted, whenever I wanted, in a reliable, flexible, carefree manner. It felt as if I was no longer disabled. Now I travel almost entirely by bicycle. I have found that good cycling habits provide me with more freedom and flexibility than I could ever achieve through driving a motor vehicle. I’ve cycled in ten states and the District of Columbia, on a wide variety of roads under a wide variety of conditions. I have made trips of up to 200 miles. When I went to Orlando in 2011 to check out CyclingSavvy, I had been using my bicycle for transportation for well over a decade. I was already certified by another organization as a bicycle safety instructor. 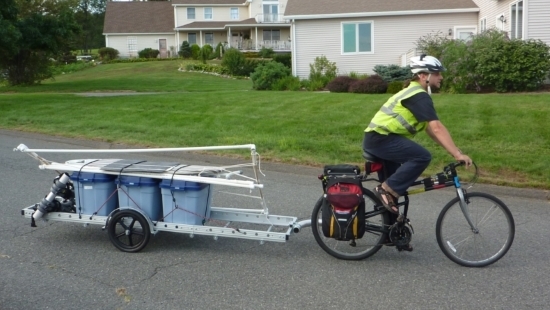 While I had heard amazing things about CyclingSavvy, I thought at most I might pick up a tip or two. Little did I know how little I knew. 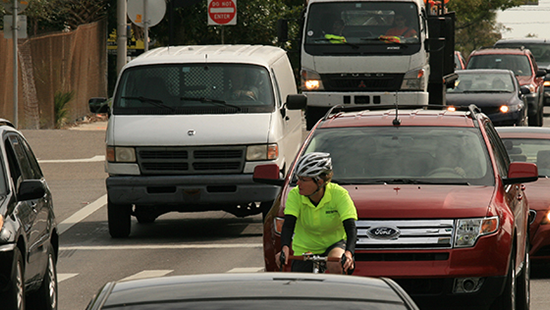 CyclingSavvy has transformed my bicycling, as well as my perspective on our public roadways. Discover what transportation freedom truly means! Bruce moved to Vermont in 2003 after retiring from the daily work world, regularly commuting to work in the Philadelphia suburbs. He became a member of the ABEA board through his experience and interest in cycling and operator education; he’s also a MSF motorcycle safety instructor. He‘s a daily transportation rider in Bennington, VT and a bicycle tourist at every opportunity. 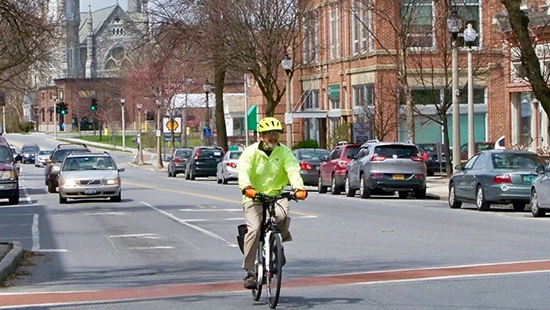 The transportation environment includes not just built infrastructure, but also public perceptions of cyclists, pedestrians and the role these groups play in our communities. 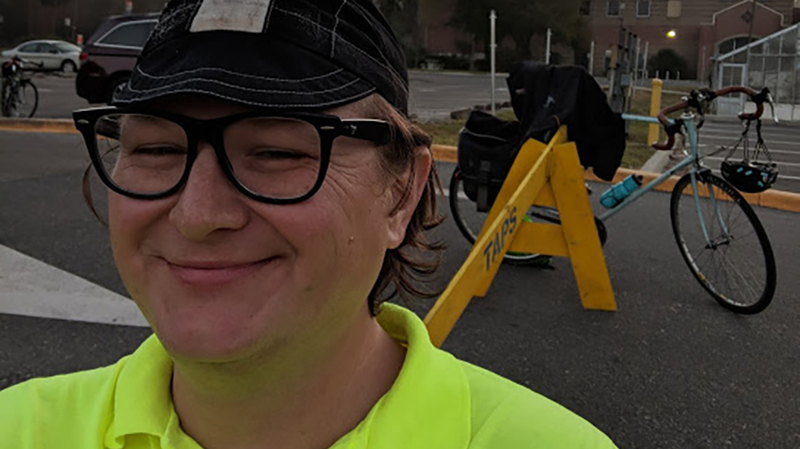 Bruce’s strongest interests are in the maintenance of cyclist and pedestrian rights of access to our public thoroughfares, and improved safety and community relations through education about the meaning of shared use - and shared responsibility - on the roadways. 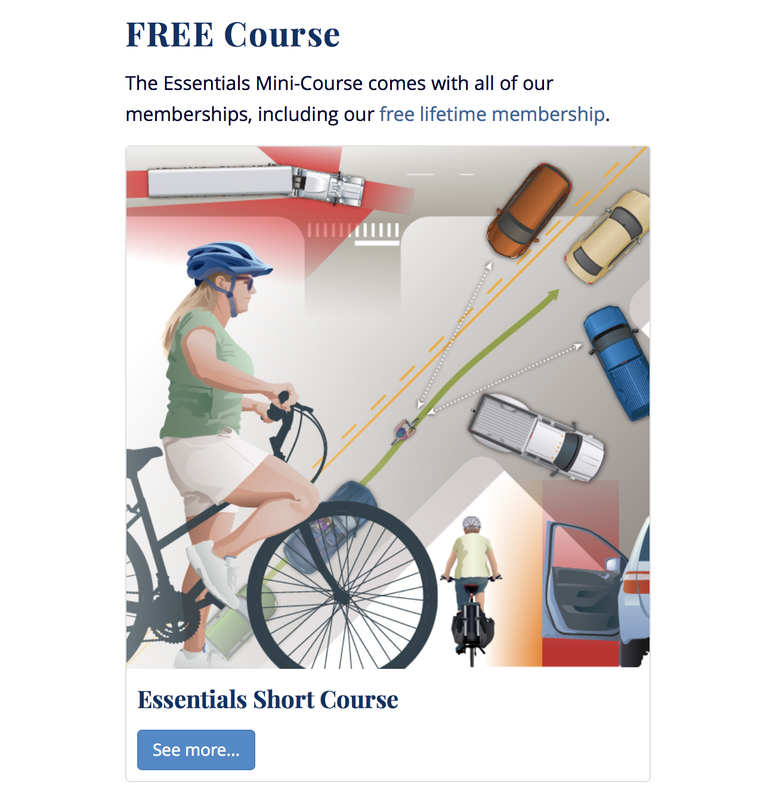 Our FREE Essentials Mini-Course provides essential and life-saving information. Take it to the next level with a Ride Awesome membership that includes our Basic and Mastery Courses and all future courses.